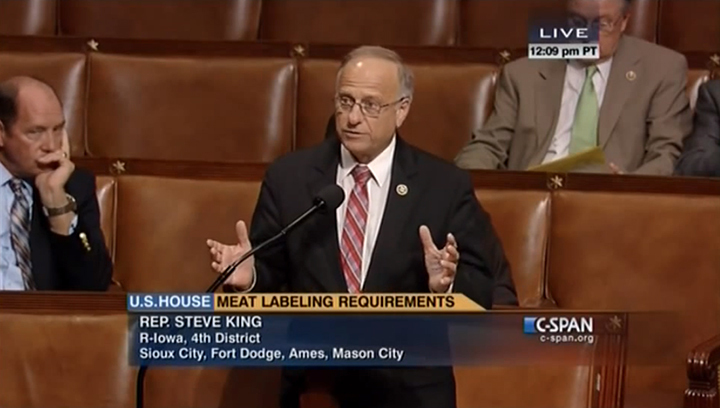 U.S. Rep. Steve King took to the House floor to speak in support of HR 2393, also known as the Country of Origin Labeling Amendments Act. 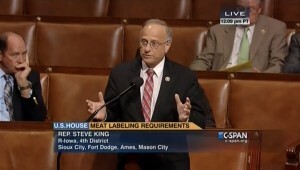 The bill, which effectively repeals Country of Origin Labeling requirements, passed the House Wednesday. Scroll down to see video of his speech.